Transitionally styled with a burnished brown finish, the Schleiger Collection features bold accenting and functional storage options. 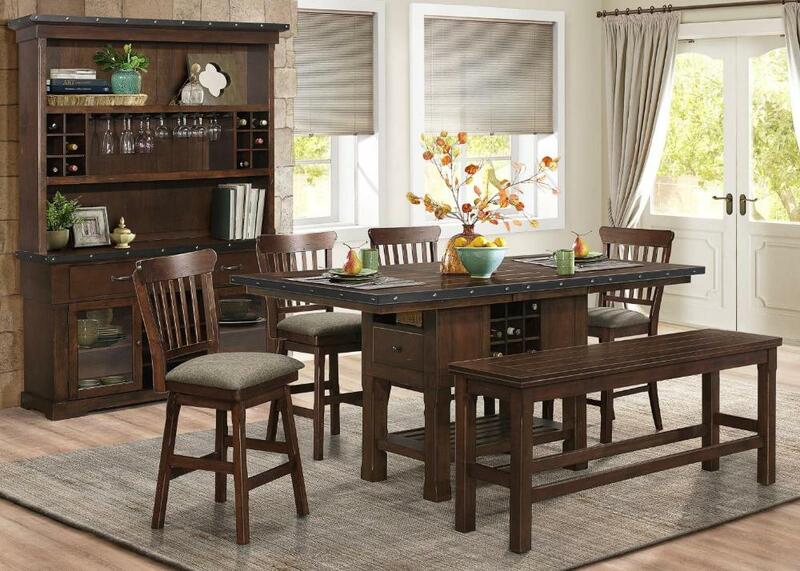 A sturdy storage base support the metal and rivet banded counter height table top with regular height chairs or swivel height chairs and bench options, allowing for versatile seating options for this industrial influenced collection. Metal and rivet banding with nailhead accent also features prominently on the open hutch and buffet, and mobile kitchen cart that are available for this collection. 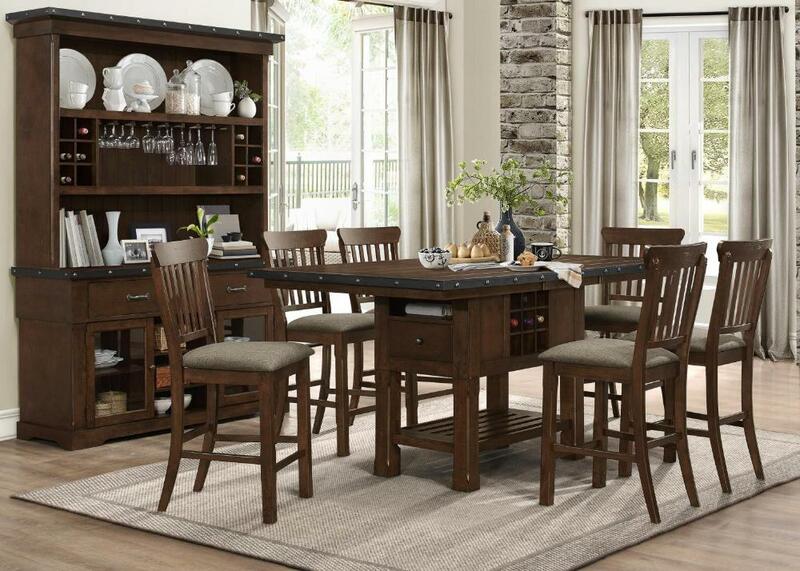 FEATURES: Burnished Brown Finish ~ Transitional / Industrial Style ~ Metal Trim & Decorative Nail Head Accents ~ Butterfly Leaf Table ~ Brown Fabric Chair Seats ~ Slat Back Chairs ~ Open Hutch & Buffet ~ Kitchen Cart & Bench Optional.